*What can romance novels teach us about dating? Women don’t want wimps! *Why Sunday night dates are no good. *He gets jealous and nervous from time to time – how should he handle it? *Why you should answer her online within 4-6 hours. What’s the go with a girl that is dating another guy but showing interest in you ? I get this a lot. What is the best way to respond. I know the system said no guys in the background but does that mean dates as well ? If it’s not her boyfriend – in other words if she isn’t in a relationship then CLOSE. The rule of THE SYSTEM (https://www.doclove.com/system) states that we don’t want them to be in a relationship or still talking to their exes (of course that’s different if they have children together). Also, remember this, even if you don’t know about her dating other guys just remember THAT SHE PROBABLY IS which is why I tell my students not to feel bad about dating multiple women. Guys sometimes get a case of the guilties for dating other women but NEVER DO THAT. The only time you should stop dating other women is if you have gotten into a relationship with one woman. Until then keep dating and keep searching for Ms. Right. 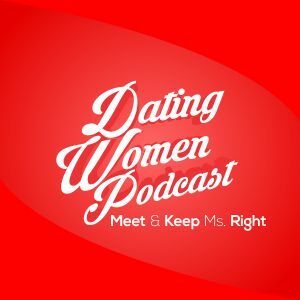 Call me on my radio show at http://www.datingwomenradioshow.com or order phone coaching at https://www.doclove.com/phone_coaching if you want to expand on this. Thanks for writing.